How would you like to walk out with the Spurs Ladies players before a game? Here is your chance! We are looking for junior fans who would like to be a mascot for a matchday at Spurs Ladies home ground Cheshunt Football Ground. 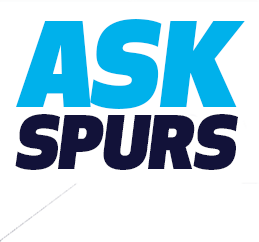 This experience is completely free; all you have to be is a Spurs junior fan and have the current full kit. Lucky Mascots picked will receive a ticket for themselves and one adult ticket for their guardian (two tickets total: 1 child ticket, 1 adult ticket). This Match Mascot scheme is open to boys and girls between the ages of 5-12 years. Four match tickets (including the Mascot) will be provided for your allocated match. The Mascot will need to bring their own 2018/19 Spurs Home kit and trainers with them. Full details of the day's itinerary will be provided approximately a week prior to the fixture. Please note that the mascot selection process is formed on a first come, first served basis. For more information about being a Mascot or Flag-bearer for other games see here.